For now, the Jio 4G service is available on a limited preview only. Users can buy a Reliance Lyf brand smartphone, but before that you need to register on Reliance Jio website (jio.com), and you’ll get a code delivered to your email for Jio service. The code is what you’ll need to go the SIM along with a Lyf smartphone. Reliance Digital Stores and Digital Xpress mini stores are where you’ll get these Lyf branded smartphones. The code is non-transferrable, and you will need to carry your own ID and address proof to get the same. Do note the codes come with an expiry date, and so you need to buy the SIM and phone before validity expires. Reliance LYF Flame 4G smartphone price slashed by 25% to Rs 2,999, making it the cheapest smartphone in the segment in India. Reliance LYF Flame comes with a 4-inch display, quad-core processor with 1.5 gigahertz speed, 512 MB RAM , 4GB internal memory, expandable memory of up to 32 GB, 5 MP rear camera, 2 MP front camera and a 1,700 mAh battery, which can support 4.5 hours of talktime on 4G network. 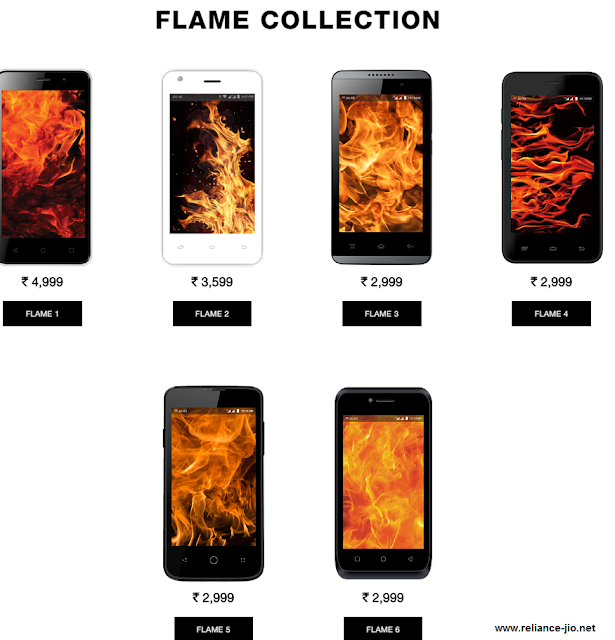 “Four models of LYF Flame are available for Rs 2,999 now. It will come with free Jio SIM, bundled with free unlimited data usage and voice calling. Earlier the price was Rs 4,000,” an executive at Reliance Retail store in Noida said. The website of Reliance LYF handsets shows four models of LYF Flame priced at Rs 2,999, making it the the cheapest 4G smartphone. Reliance Jio SIM was earlier offered to about one lakh employees of RIL group firms. Later employees were allowed to give referral to up to 10 people for free Jio services. The connection comes bundled with unlimited 4G mobile Internet and phone calls for 90 days.